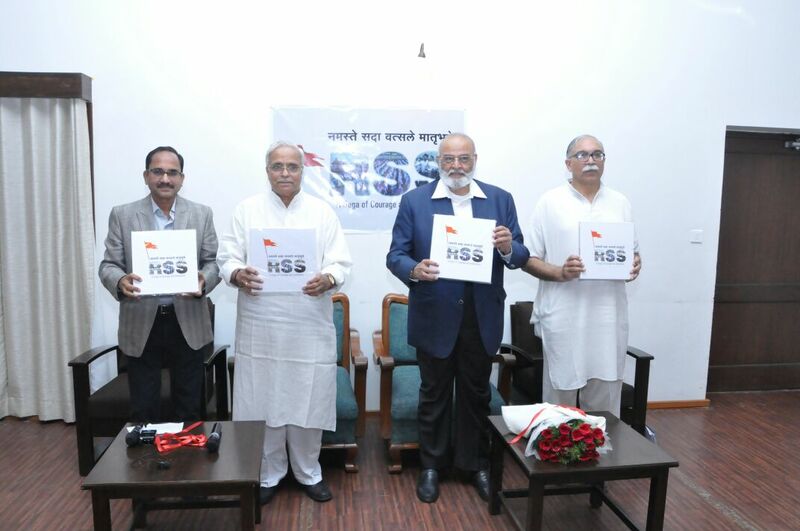 A 'Coffee Table Book' on Rashtriya Swayamsevak Sangh was released by RSS General Secretary Shri Bhaiyya Ji Joshi on 21 November at the Chintwavis Center of Nagpur. Pune's well-known industrialist, Shri. Abhayji Ferodiya was the chief guest of the program. On this occasion Mr. Firodia ji said that he is not a Sangh's volunteer but he has full relation with many volunteers of the Sangh. Sangh's volunteers never campaign for themselves. The association with society is introduced only by the work done by volunteers in the interest of the nation. It is only after seeing the devotion and devotion of the volunteers towards their work. 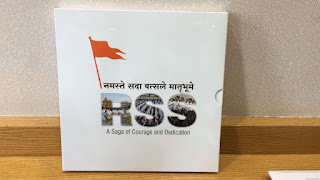 Such a book was needed to get the Sangh's accurate introduction to the society. This book is being published so beautifully, he expressed his happiness and also gave his best wishes. At the beginning of his speech, he explained the significance of these three words - 'National', 'Swayamsevak' and 'Sangha' - very easily explained. In his remarks, Shri. Bhayyaji Joshi said that such a book is being published after 92 years of the establishment of the Sangha. Many allegations have been made from time to time on the Sangh. The Sangh is doing its work peacefully without worrying about these allegations. If anyone wants to understand Sangh properly, it can be understood only by joining the union work directly. But this book has been published to make them aware of the Sangh work for those gentlemen who are not able to do this. RSS Akhila Bharatiya Sampark Pramuk Shri Arun Kumar made an introductory remarks. Shri Rajesh Loya, Sanghachalak (Nagpur Mahanagar) and other Sangh Adhikaris were present.